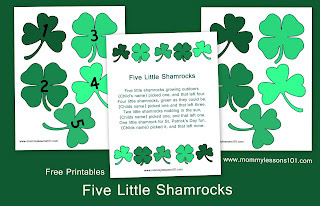 To go along with the "Five Little Shamrocks" poem that Andrea shared in her St. Patrick's Day Lesson Plan, I created some simple printable shamrocks. Five little shamrocks growing by the door. (Child's name) picked one, and that left four. Four little shamrocks, green as they could be. (Child's name) picked one, and that left three. (Child's name) picked one, and then there were two. (Child's name) picked one, and that left one. One little shamrock for St. Patrick's Day fun. (Child's name) picked it, and that left none. Print and laminate the shamrocks if desired. For a felt board, add a piece of velcro (the hook side). For a magnet board, cut a small piece of magnetic tape or paper and attach to the back. (Sometimes I cut up and glue leftover fridge magnets that I have gotten for free from various advertisers). *Color-shade sequencing: Each shamrock is slightly different shade of green. See if your child can find the lightest green and the darkest green shamrock. For a challenge, see if your child can arrange all five shamrocks from lightest to darkest or vice versa. *Number sequencing: Have the child sequence the numbers in order, or leave one shamrock out and have your child guess what the missing number is. *Number mats: Use the numbered shamrocks as miniature counting mats. Give your child some Lucky Charms or another small treat or item and have your child count the appropriate number of items onto each numbered shamrock. 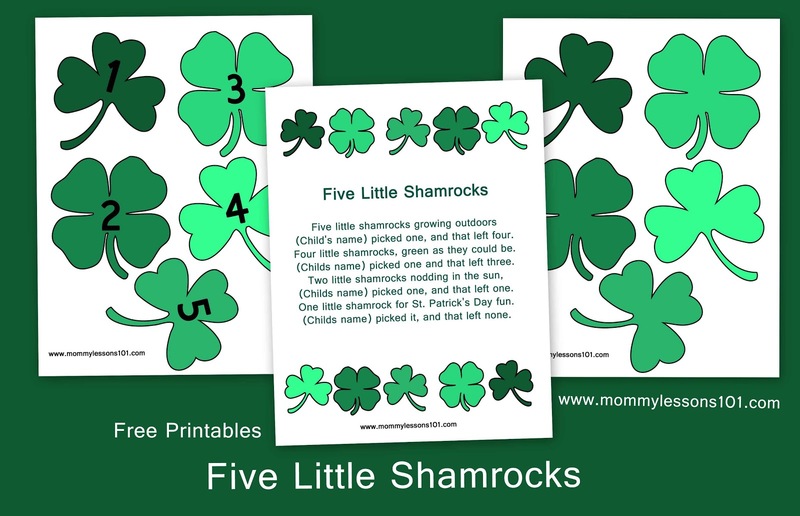 *Sorting: Have your child sort the shamrocks into two piles--those with four leaves and those with three leaves. *Shamrock hunt: Hide the shamrocks around your house and let your child search for the hidden shamrocks. 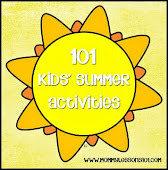 You could give your child clues such as saying "hot" or "cold" or clapping (clap louder when a child is close to a shamrock and soft when a child is farther away). When your child finds the hidden shamrocks, let him take a turn hiding the shamrocks while you go on a shamrock hunt! 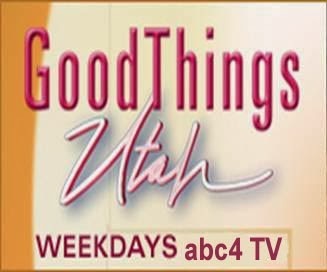 *You could also write clues on the shamrocks, hide them, and send your kids on a treasure hunt for a prize as I did here. For more St. Patrick's Day ideas, see all of our St. Patrick's Day posts here. Note: I used these free Photoshop presets to create my shamrocks.